I am blessed to have many praying for me during these difficult health issues; and God is listening. This morning, I feel better, and that's an accomplishment. I've even done a load of laundry! 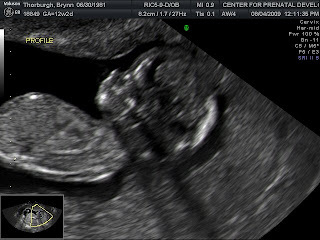 We found out yesterday that this is a little boy. I kinda had a feeling. The new items I ordered from Close to My Heart should arrive today. With any luck, I'll feel well enough to work! Please keep those prayers coming my way for awhile. Each of your voices are a gift in my honor, restoring my spirit as well. Much thanks. I've been REALLY sick lately. Last Tuesday I went in for an iv and fluids. Its really had me wuite down-hearted, but hopefully this new med will help a bit. I'm off of my fibro meds because they've been futile. Frustrating to be in so much pain. 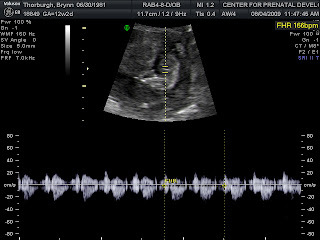 Today I had an ultrasound for screening. It's interesting how God works......if the baby had co-operated they wouldn't have gone internally, in which the discovered a large mass (tumor (NOT cancerous) outside my right ovary. At least some of my pain has a reason! It will be removed, the OB will decide just how tomorrow. I'm a little concerned -but just about recovery. My husband is THE BEST, but I don't want all of the extra burden on him of home stuff on account of me not being up to par-for whatever reason! They have little concern for the baby, and that's comforting. Thank you for thinking of me, and keeping me in your prayers. I appreciate it so VERY much and it's just what I need when I'm struggling myself. Yours in Christ-B.